Crate Paper Wonder strikes again, this time on a layout about Alexa and her cat. The photo is a selfie she took while giving Butterscotch a big smooch. Doesn't he look thrilled? I'm still trying to figure out how she held the camera and got them both in the shot without looking. LOL! GORGEOUS! LOVING that photo (I was wondering about her selfie too! LOL!!) and loving the colors and the bow!!!!!!!!!!! Awesome page as always - what great papers and colors. So sweet, love the placement of all the embellishments! Such a sweet picture and amazing page!! Love all the embellishments!! So FUN, so HAPPY and just so full of yummy color!! So awesome and my favorite thing is the cute globe that says A little love note for you - so darned cute!!! This is such a fun page, Lisa! 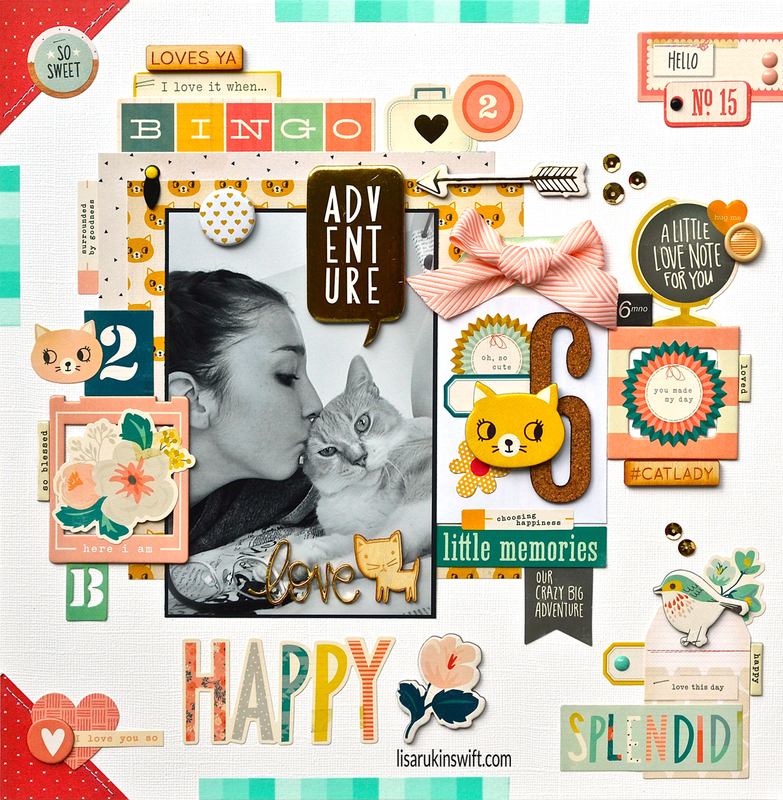 I love all the bits and pieces you tied together and especially that cute kitty cat paper behind the photo. That expression on Butterscotch? Priceless! Great pic and page.